Seasons greetings to all from this dumbwit; let the holiday fun and frustrations begin. My postings have been few and I send my deepest apologies. I always considered myself a good, although not obsessive, housekeeper. But this keeping our home tidy to perfection whilst on the market is taxing this striving perfectionist. I know..I know, there are only 2 of us living in our home now so how can it be a problem? Can I count the dog? 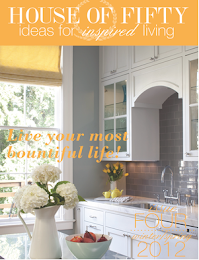 Last week I was spurred on by my friend the lovely Lisa Porter of 'The Lisa Porter Collection' to join in on the holiday fun to comprise my own gift wish-list along with other bloggers. Like most mothers, we often think of ourselves last. When asked "what would you like?" I look with a dead-stare, not having any inkling of a clue. I don't think of jewels, or Chanel handbags (I lie), but I think of the little things that I wouldn't buy myself. Simple..edgy..creative, different; like the dumbwit. a beautifully painted portrait from the so very talented Lisa Golightly. This is 'Mary' who Lisa describes as "a hostess who makes a 'mean Manhattan". Who has not worn a pair of GV jeans in their pre-90's lifetime? 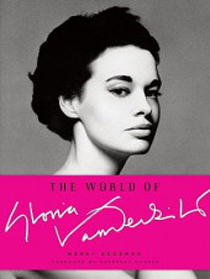 'The World of Gloria Vanderbilt', authored by Wendy Goodman. "Perhaps the definitive-and certainly the most visually stunning-book to capture her incredible life." 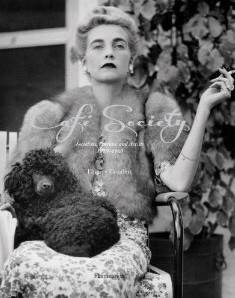 Some of the century’s most original talents—from Cole Porter to Yves Saint Laurent—stepped into the limelight via the café society. Through archival photographs and period documents, this volume recounts in historical detail the intrigue and impact generated around the world by this stylish jet-set. 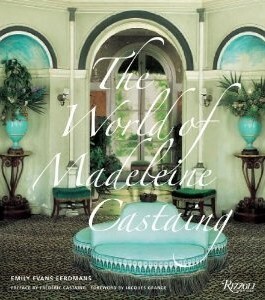 'The World of Madeleine Castaing' by author Emily Evans Eerdmans. 'Wait for Me! 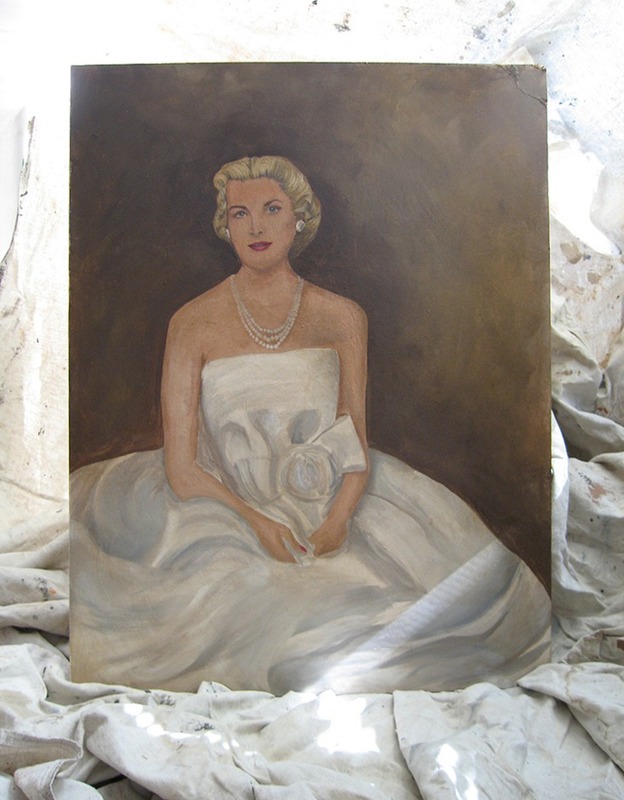 ': memoirs of Deborah Mitford, Duchess of Devonshire. Deborah’s effervescent memoir chronicles her remarkable life, from an eccentric but happy childhood in the Oxfordshire countryside, to tea with Adolf Hitler and her controversially political sister Unity in 1937, to her marriage to the second son of the Duke of Devonshire. 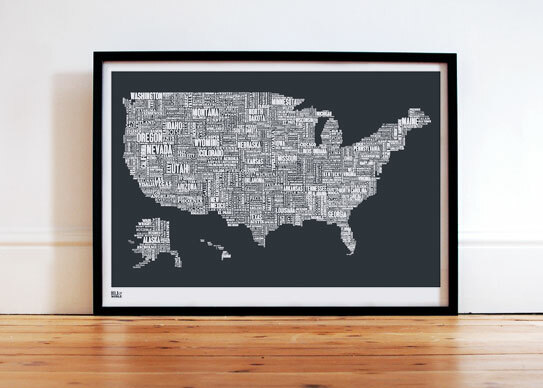 (pssst...don't tell Santa but I already purchased this one). 'French Essence' by Vicki Archer. As a lover of architecture, art, furniture, and décor, Archer knows that the best interiors are inspired by the heart as much as the mind. French Essence is designed to spark both, with gorgeous photographs of lush gardens, timeless interiors, hauntingly beautiful village lanes, and inspired aesthetic details. This book would be an incredible treasure to own, not only because of it's fabulous contents, but also because it's author is a kind woman and fabulous blogger. 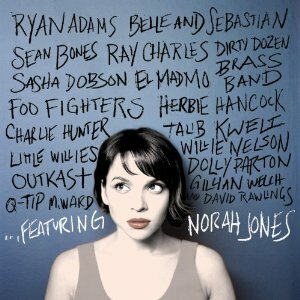 Norah Jones and star-studded friends released Nov. 16th. Duffy's 'Endlessly' to be released Dec. 7th. Deb Little's photography of wild horse 'Warbonnet'. Dog and slipper pillow - hand embroidered in North Cumberland in soft, recycled, cream felted wool. Feather pad, dry clean only. 43cm x 33cm £49.00. 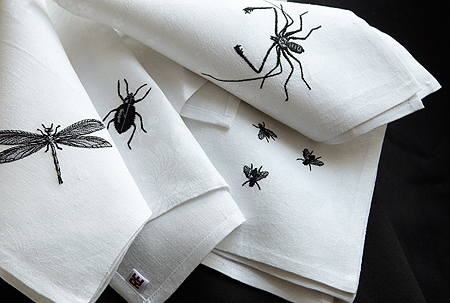 made from vintage damask tablecloths, re-embroidered with new images. I speak the truth when I say I rarely purchase hard-alcohol. 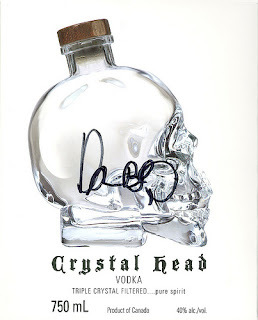 Therefore to be gifted quality spirits would be an adult delight. Henrick's gin is a small-batch gin hand crafted in Ayrshire, Scotland, with an infusion of cucumber and rose petals. 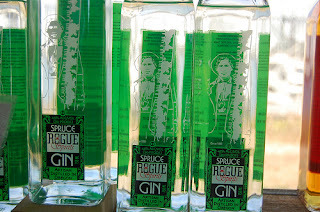 No other gin tastes like it because no other gin is made like it. This award winning hand-crafted spirit hales from Oregon's famous Rogue Brewery and was the first spruce gin made with 14 ingredients. No chemicals, additives, or preservatives. Think of it as 'drinking-in' your Christmas tree. And what holiday cocktail bar would not be complete without Rogues (oh so winter appropriate) Yellow Snow IPA? Pale golden in color with a hoppy fruity aroma. Big hop flavor up front complemented by medium body and hoppyness mid-pallet. Finishes with a characteristic lingering bitterness. 22 oz. $6.99. A product from Oregon, priceless! 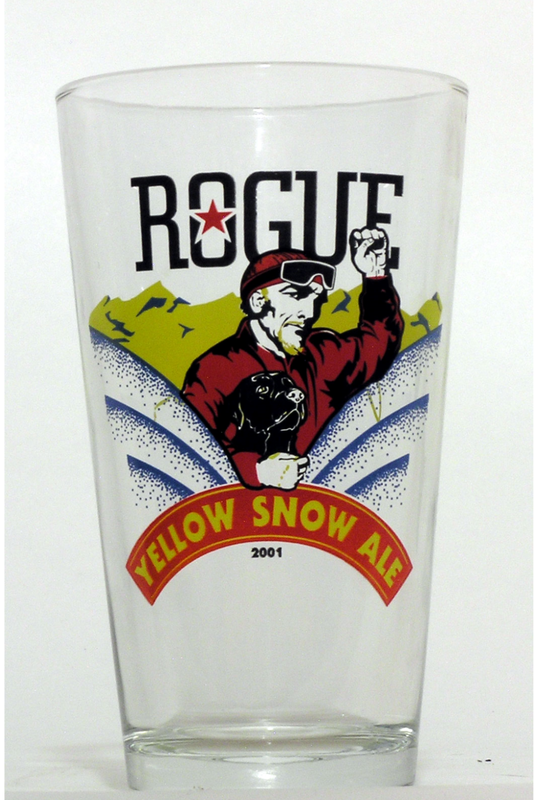 and one must have matching pint glasses. Set of 4/ $17. and Santa don't forget the stocking-stuffers. 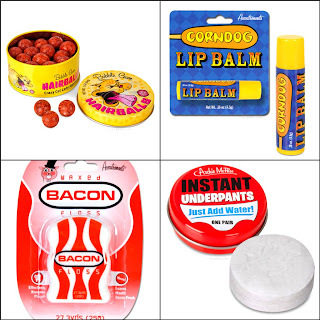 Corn dog lip balm, yes please! I want to hear what's on Your holiday wish-list. Better yet, join Lisa @ at the button to the right of the dumbwit sidebar. Yes, count the dog! I loved your list, especially the dog related items and books! Lots of books on my list too! A trillion thank yous for including FRENCH ESSENCE......Such a lovely surprise to find it amongst your list, xv. just to 'get in touch' with my needs. I'm coming to your house for new years! I knew I could count on you to bring the party to my fabulous list of gift-giving gals! Just wonderful and done with great style from one smart, funny, queen of multitasking, friend who always has it down! Thanks for all the great ideas. Love all the book choices and really loving your hard alcohol selections for my new bar!!! Deb....GREAT list......I'll be over for a Gin and Tonic and I love the embroidered napkins! Wow! What a fantastic list. So many great ideas, thank you. That is one fabulously interesting list lady...Not that I'm surprised! This Christmas I have leopard print Revas and an SLR on the old wish list! This is quite a list. i am exhausted just going through it, but I want it all, all the books you mention,and cocktails to go along. 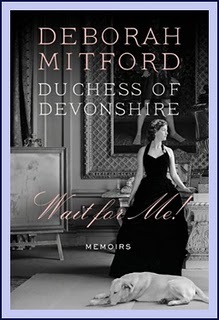 Have read a marvelous book about the Mitford sisters. Oh my goodness, you have quite a list here! Thanks for the sweet comment. I am now a follower. What fantastic things you have on your wish list Deb! My holiday wish list is really just more things for our living room makeoever, none of which will end up under the tree, but Mr. Cheese and I will purchase them together. We don't buy each other Christmas gifts, we just put the gift money toward a winter or spring weekend at the cabin or a few days on our little island where we got married. Sometimes the intangible gifts are the ones that a person remebers the most, you know? Love your list - a book about Gloria, a gin and tonic with Duffy in the background - what more could you want. I want some cookbooks and apart from that, SOME SLEEP. OK, I've got you all of that stuff. It's a bit heavy to send by airmail so will have to go by sea; I hope the wait isn't too inconvenient. I want that duchess book too. Love the dog slippers! Those are just perfect for this cold night. I had to tell you that I have been reading your blog for sometime and love it! I have been building a new house and was constantly inspired. I could so relate to your comments about keeping the house perfect, we have been trying to sell the old house and it is exhausting. And yes, it is just Mark and I and two dogs and two cats. I love the things you write, they are funny, true and endearing. Next time you are in Washington look me up, I'd love to have a drink and catch up. Does no one call you Debbie anymore??? 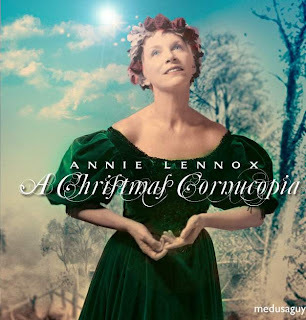 Have a wonderfully delightful holiday! You had me at Hard Liquor. That's why I love you to bits girlfriend! Deb I especially love your book choices!! 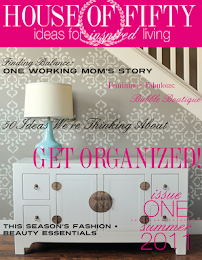 Thank you so much for sharing these fab ideas!! Remember to come & enter my $200 Giveaway from Fifi Flowers! 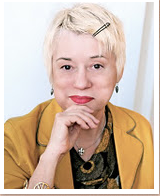 As for you Melissa Parker Spada - I am THRILLED that you have even read my blog & how did you ever find it? I wish there was a way to email you. I would love to catch-up. Not sure when I'll get a chance to get to Snohomish which makes me sad. Sending you best wishes for a terrific Christmas holiday. Best of luck with building your new home. If it's anything like your first one, it'll be spectacular!! 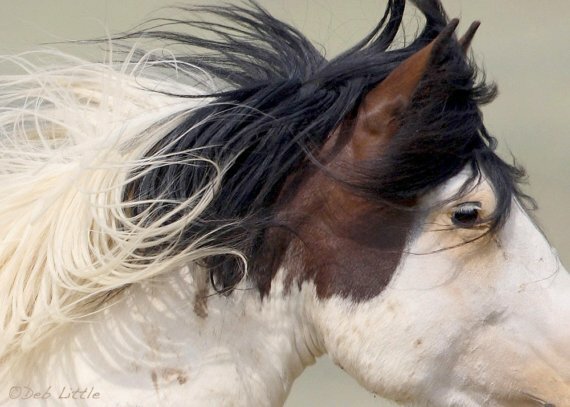 Love the Bold and Noble print! My best shot is Vicki's beautiful book. Lot's of fun idea's. I always love looking at other peoples list as it can say so much about the person. 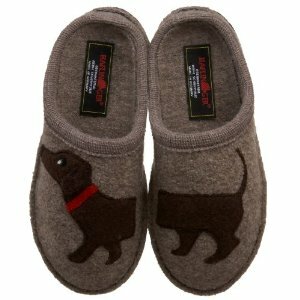 My heart began to beat really fast when I saw the doxie slippers. I NEED THEM. I also love the tongue in cheek of the bone china. Hee hee. What a wonderful wish list, Deb. I'll definitely be adding some of these books and CDs to my own list this year. Hope all is well -- have a wonderful weekend! Well I love all the books you mentioned and Vicki's book is already on my wish list!! I have her second book but still want her 1st and this one!!! Wouldn't mind the Duffy album either!! 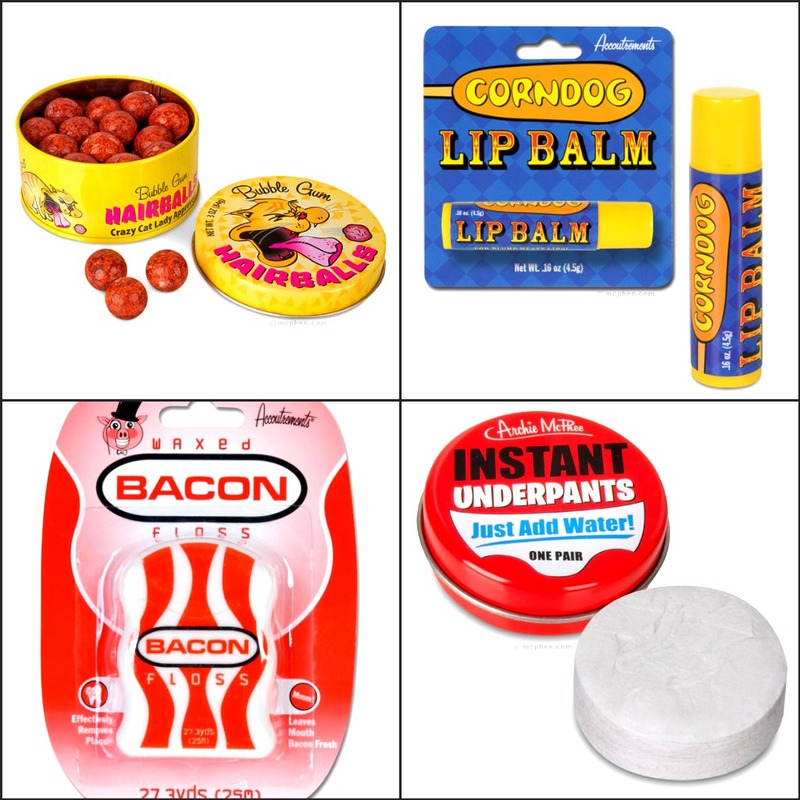 Corn Dog lip balm! I'm all over that one!! Have you seen the bacon soap? I'm trying to figure out who to give that one to...I hear that former Seattleites that moved to Texas and are headed to Scotland have a passion for the stuff (heehee)! I really loved your book choices as they are all on my list...especially Emily's 'Castaing' & Vicki's! Thanks for the Christmas 'kick' Deb...I'm feeling a bit disconnected this year...you've put a little twinkle back into the holidays for me. Big Christmas HUG for that! I hope you get at least half of what's on your list...and I hope Santa gives you the perfect buyer as an early, very special Christmas present this year! This is quite a list, I am going to have to borrow from it! Your list is perfection -- wonderful ideas, ditto to Yvonne and Renee ---if you happen to get duplicates well there is always a blog giveaway,,, just dreaming, I couldn't wait for Santa, so I ordered Vicki Archer's new book French Essence, she is a fabulous lady as well as a talented writer. What a great list! 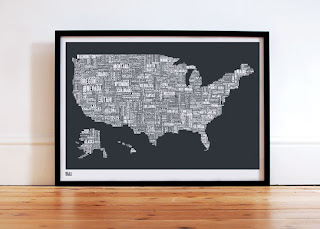 I still have no idea what I want for Christmas, but I'm definitely getting inspired by your list. 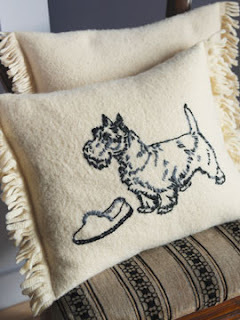 How cute are those doggy items? I love the slippers! 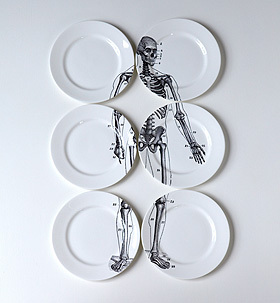 And the 'bone china' is hilarious - right up my alley. 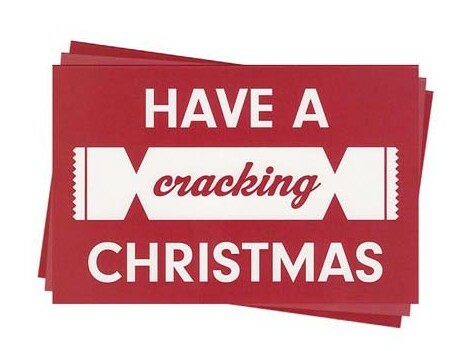 Hope you're doing well and wishing you wonderful holidays! Thank you so much for your comment on my blog! I'm in the midst of exams, so please forgive how long my response has taken! I'm so glad you commented because I just love your blog! We seem to have very similar interests! aaahhh the party is almost over... did i miss it? music, books and drinks sound very good in my book... perfect for anyone's list! Love to hear from you. Three days into the new house, Christmas shopping half done, new fridge leaking causing hardwoods to swell. Is it bad to have a martini at noon??? Then I get a visit from my two year old twin grandchildren, Jack and Lola, and it just doesn't matter. 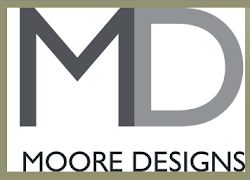 Check them out at Mark's facebook, (I am not on yet). I am obsessed with the Mitford's. I adore their descriptions of their freezing house and little luxuries during the war. So, I for one will be buying that for myself, since my children work to pay rent and eat, essentially. The Daschund slippers are mine, mine, mine. I just lost my precious Violet, after a short illness and a 12 year life. People are pushing dogs on me madly, but I'm sticking with the slippers! Great list. I think I am getting Cowboy boots for the first time in my life, and I'm psyched! good list. will purchase a few of the recommended books. corn dig chapstick - oh my! :) Merry Christmas BW. Had to stop back by to wish you a very very very merry Christmas! You are the best and I hope Santa delivers! those books are amazing! 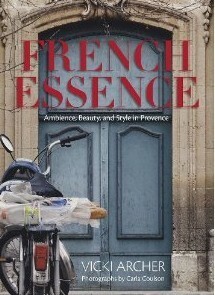 French Essence would be in my top pick! I hope u get everything u wish for!